Africa is of one greatest biodiversity destination on the planet. The second largest continent in the world is endowed with rich biodiversity. With incredibly varied wildlife and landscapes, travelers seek to book Masai mara safari packages that leave them mesmerized. People travel from all over the world to this southern tip of Africa for a wildlife getaway. The Reserve covers 1,510 sq km (580 sq miles) and raises 1,500-2,170 meters above sea level. The terrain of the reserve is primarily grassland and riverine forest with clumps of distinctive acacia trees. The Masai Mara ecosystem holds one of the highest lion densities in the world and this is where over two million wildebeest, zebra and Thompson gazelle migrate annually. Once you book Masai mara safari packages, you definitely will witness more than 95 species of mammals and 570 recorded species of birds. The wildlife of the Masai Mara is world-renowned, with the so-called “Big Five”- buffalo, elephant, leopard, lion and rhinoceros – evident throughout the year. The “Big Nine” – including cheetah, zebra, giraffe and hippo – extends this experience. The Masai Mara also plays host to the ‘Annual Migration’ but whatever the time of year the resident wildlife will surely entertain all who book Masai mara safari packages & visits this wondrous Park. One has to fly from the home city to Nairobi and then use private vehicle to travel to the game reserves. Post Breakfast drive to Aberdares National Park. 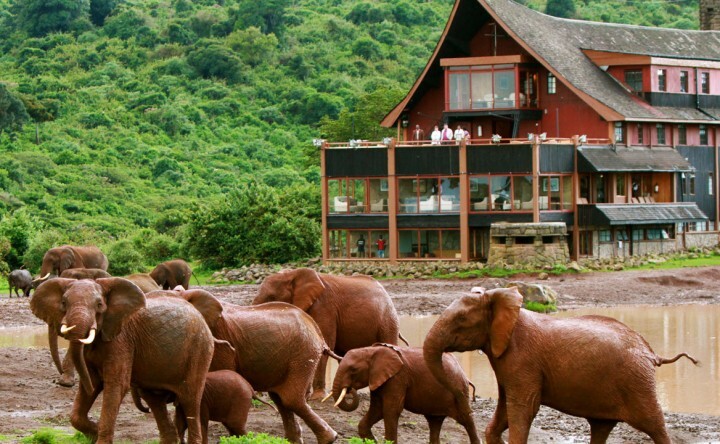 Post lunch transferred to The Ark lodge where you stay and enjoy overnight, sight the wildlife at night from specially created balconies and viewing decks !1 You need not go anywhere,,,here the animals come to you and thats the real fun of it. After breakfast travel to explore magnificent Thompson’s falls and then arrive at Lake Nakuru. Post lunch a game drive at Lake Nakuru. Target species – Lesser and Greater flamingos, Storks, Pelicans and Egrets along with white Rhinoceros and Giraffe. After breakfast, drive to Masai Mara Game Reserve. Arrive in time for lunch at Keekorok Lodge. This afternoon, enjoy game drive in “The World Famous Masai Mara Game Reserve’’. The Masai Mara Game Reserve is often called simply “The Mara” – a Masai word meaning “mottled” – a reference to its patchy landscape. The vegetation of Kenya is diverse and changes according to the topography and climate. The coasts have mangrove swamps and rain forest. The northern region is full of grasses, scrubs with typical savanna ecosystem with open grasses dotted with thorny trees. The highlands and peaks are full of bamboo and timber trees like African camphor, African Olive, Pencil cedar and so on. About 550 different species are found here. The yellow bark acacia woodlands form a beautiful landscape. East Africa is hotspot for wildlife in the world. African elephants, Black and White Rhinos, African lions, Cheetahs, African leopard, Burchell’s and rare Grey Zebra, Masai giraffe and Rothschild’s giraffe, Cape buffaloes, Hippopotamus, Wildebeest, and Thompson’s and Grants Gazelles are some on the top sighted mammals. Impalas. Topi, Fox, Jackals are also seen. Vervet monkeys, De Brazza monkey, Baboons are some of the primates found here. More than 1000 species of birds have been recorded all over the region. Vultures, Marabou storks, Secretary birds, Hornbills, Crowned cranes, Ostriches, Long crested Eagles, Falcons etc are some of the birds seen. 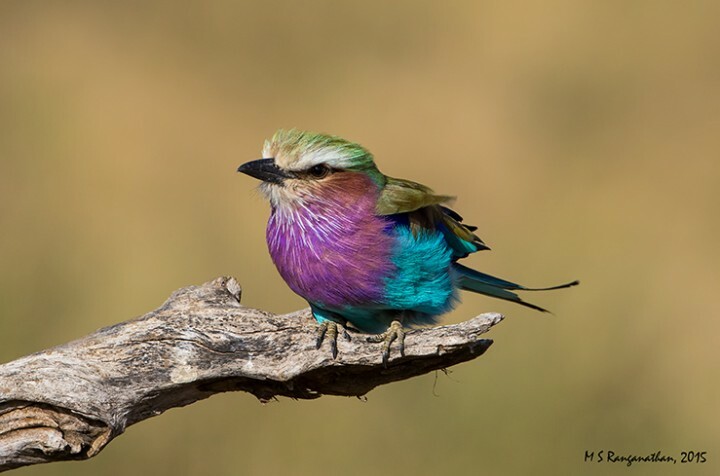 Liliac breasted Roller is the National Bird of Kenya. Reptile biodiversity in Kenya are varied. Some of these are leopard tortoise, chameleon, black mambas, spitting cobra and scorpions. Other reptiles include Nile crocodile, Monitor lizard, Terrapin and so on. Marine life is also diverse. Biggest fresh water fish found is Nile Perch. Other species include Lungfish, tuna, marlin, sailfish, kingfish and various shark species. The Big Five and Africa is a synonymous when it comes to going on a safari in the World. 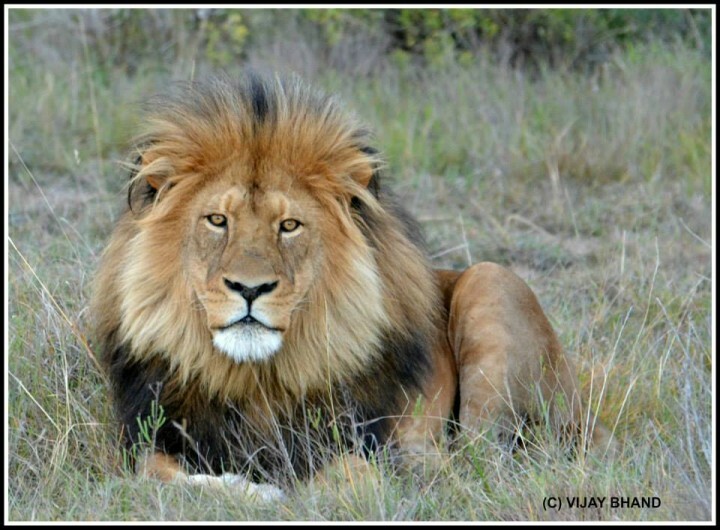 The Big Five consist of – The African Lion, African Elephant, Cape Buffalo, African Leopard and Rhinoceros. The term big five was coined by Big – Game hunters referring to the five most difficult mammals that could be hunted on foot. These animals are chosen as Big Five depending on the difficulty level in hunting them and the subsequent danger involved. All the Five mammals in the Big Five category are listed as either ENDANGERED or NEAR THREATENED by IUCN. Extensive conservation efforts are been carried out to save the above mentioned species. About 270 kms from Nairobi, The Masai Mara National Reserve also called as Masai Mara or just Mara by the locals stretches over the area of 1510 sq. kms. The name is derived from the Maasai tribes and to honor them. The Masai Mara is a small part of the Greater Mara Ecosystem which also includes Serengeti and areas. It was established in 1961. The Mara topography can be divided into 4 types: Ngama Hills lying in the east with sandy soil and leafy bushes liked by black rhino; Oloololo forms the western boundary and forma a magnificent plateau; Mara Triangle bordering the Mara River with lush grassland and acacia woodlands supporting varied wildlife especially migrating wildebeest; Central Plains forms the largest part of the reserve, with scattered bushes and boulders. It is home to over 95 species of mammals and 570 species of birds have been recorded. The Aberdare National Park called as the Majestic Moorlands due to the vast ravines and open moorlands found here. It covers the higher region of Aberdare Mountain Ranges in the Central Kenya.Located about 100 kms from Nairobi; it was established as a National Park in 1950. The total area of Aberdare is 766 sq.km. The landscape is varied with mountain peaks, deep valleys, rivers and waterfalls whereas the lower altitudes moorlands, bamboo forest and rainforests are seen. The park is home to endangered Aberdare cisticola, Jackson’s francolin, sparry hawks, goshawks, eagles etc. 250 bird species have been recorded here. 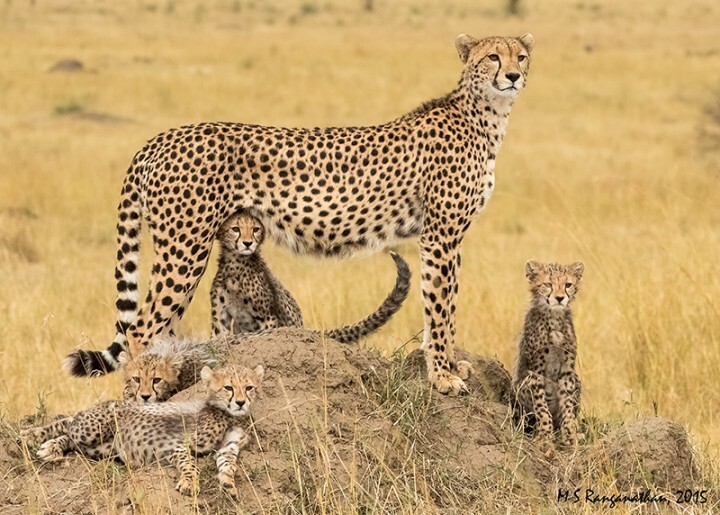 Mammas include African Elephants, Black Rhino, Leopards, Spotted Hyenas, Zebras, Olive baboons and so on. One can watch wildlife day and night coming to waterholes and salt licks from the viewing decks. Aberdare is famous for Treetops hotels and the ARK. Modeled after the Noah’s Ark, the ark has 4 viewing decks to watch animals. Two hours drive i.e approximately 170 kms from Nairobi located around Nakuru lake in the Nakuru town is a bird paradise. Lake Nakuru National park stretches over the area of 188 sq.km and lies 1756 meters above the sea level. Earlier it was a Bird Sanctuary which then in 1968 was declared as National Park. 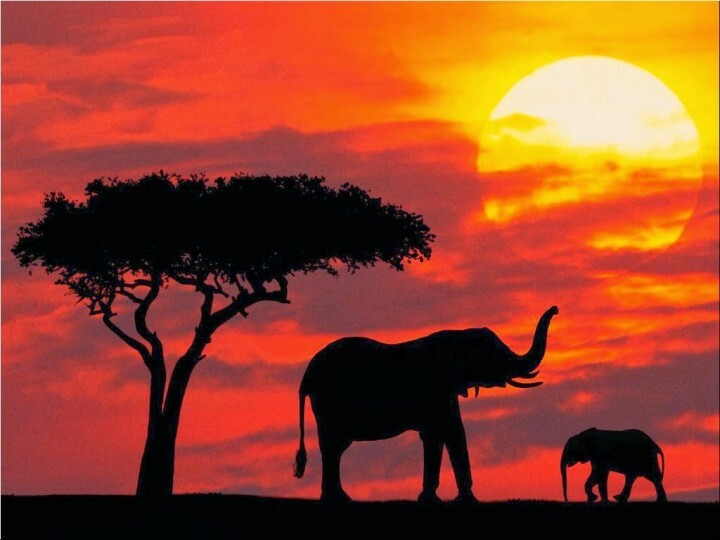 The climate is typical African Savannah. One can see patch forest, acacia woodlands in the park. The park is open all year round. More than 500 bird species have been observed in the area. The most striking one are the The Flamingos that form a pink carpet on the lake. Other birds include Pelicans, Plovers, Marabou Storks and so on. Numerous rare mammals have made the Nakuru region their home. Rothchild’s giraffe, Endangered Black and White Rhino, Cape Buffalos, Thomson’s gazelle, lions, cheetahs, leopards, baboons and the list goes on are seen. Some of the must visit places/viewpoints in and around Lake Nakuru are Baboon cliff, Lion hill, Flamingo hill and Makolia Camp. The freshwater lake located in the outskirts of Naivasha town in Nakuru . It is a part of Great Rift Valley. Lake Naivasha has its name derived from local Masaai name (Nai’posha) which means rough water. The lake stretches over 13kms and is about 991 sq km in area. The thick papyrus trees surround the lake along with yellow barked Acacia. About 400 species of birds are recorded in the area along with mammals like giraffes, zebras, lions, baboons and so on. The geography of Kenya is very diverse. Kenyan Rift Valley occupies the Central and Western Kenya whereas as Indian Ocean to its coastline. The Kakamega forest in Kenya is rain-forest.The weather/climate varies by location. The coastal areas experience tropical climate. The climate is more arid towards the central Kenya. One can experience clear climate from January and it gets warmer from February. End of March is the start of rains and April is much cooler. The rains continue till June and the winter sets in from July in Kenya. August is the start of Migration. The Great Migration fills the Mara plains. The temperature rises and September-October is hot and dry. The region experiences rains again in November and December.